For your convenience, COE organizes all educational and technical sessions into various community tracks, making it easier for you to customize your learning experience by selecting the curriculum that best meets your needs and interests. 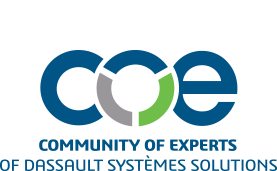 Within these tracks are technical sessions relevant to current industry “hot topics” as identified by COE’s Conference Planning Committee, the members of which are all practicing professionals who use Dassault Systèmes PLM solutions. Session information for the COE 2015 Annual PLM Experience & TechniFair is now available! You can begin to plan out your schedule and download the full grid here. The Product Definition track covers the software and processes for product and tooling development from conceptual design to release. The Manufacturing track follows the entire manufacturing processes from concurrent product definition to NC Machining through assembly simulations and shop floor graphical work instructions. Breakout sessions included in the EAS track are focused on the processes, methods and tools for modeling and synthesis of the requirements, functional, logical, and physical aspects of engineering systems and for engineering analysis and simulation of products. This track will consist of Roundtables and Breakout sessions focused on Shipbuilding & Plant Design (SPD), Automotive (AUTO), Aerospace (AERO), Small & Medium Enterprises (SME), Academic (AC). Vendor Solutions Presentations are 50-minute sessions in a dedicated track within the conference program. Companies have the opportunity to sponsor an educational session at this year’s annual conference and it may be a best practice presentation, a case-study or hands-on workshop.